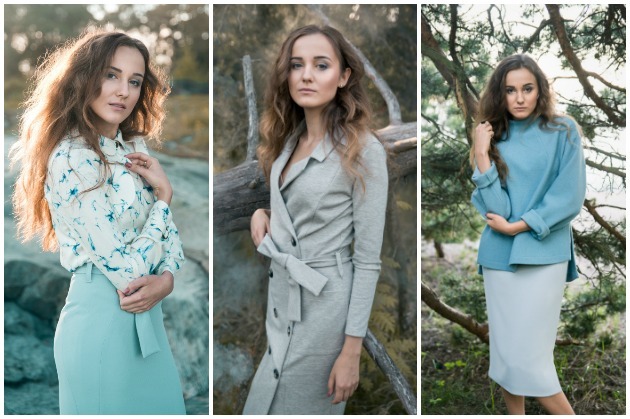 Named Clothing released their Fall Winter collection of sewing patterns on 1st September, and it has already been a wondrous success. The Evolution Theory collection of patterns is designed with a particular focus on the cut, in order to make the garments look interesting, yet natural and effortless. The Named Clothing Evolution Theory collection takes its inspiration from Finnish nature - the crude rocks, coniferous forests and cold water. The colors in the collection reflect this origin; ice blue, pine green and granite grey. The Evolution Theory collection studies the evolution of fashion, and how certain fashion staples became what they are today. For example, what are the details that determine a classic trench coat? The collection combines and transposes details from one garment to another in an interesting and unique way. As a result, there are garments like a blouse with trench coat like details (the Helmi Blouse), a double-breasted jersey dress (Pilvi Coat Dress) and a kimono-inspired tee (Sointu Kimono Tee). Helmi Trench Blouse and Tunic Dress (Plus Size, 2 in 1): This pattern includes two variations: A loose-fitting blouse and a relaxed tunic dress. 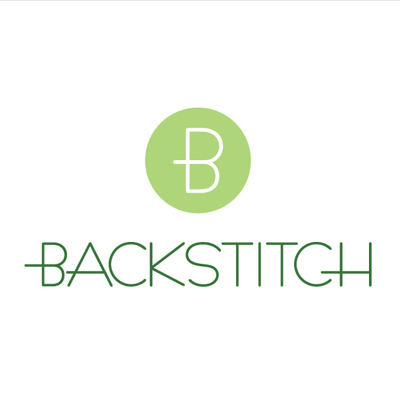 Both variations have a concealed button closure and an uneven hemline. The blouse has a trench coat-inspired cape, straps with D-rings at the sleeve openings, a rounded shirt collar and vents at the sides. The tunic dress has half-sleeves, a stand-up collar and a curved dolphin hem. This pattern has proved to be so popular we are already out of stock! But more are on their way from Finland so they will be back in stock very soon. Lempi Button Down Dress: A midi-length and half-sleeved button down dress. It has a wide button stand with chunky buttons, a collar at the neckline, epaulettes with buttons on the shoulders and a wide, buckled belt at the waist. Pulmu High-Waisted Pencil Skirt: A high-waisted and lined pencil skirt with a flattering and ladylike cut, without side seams. The skirt is below-the-knee length with V-shaped vents at the sides, has a wide belt with a D-ring fastening at the waist and invisible zipper closure at the back. 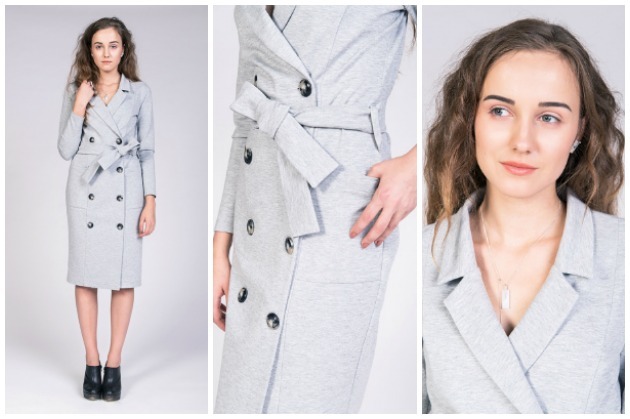 Pilvi Coat Dress (Plus Size): A fitted, coat-like jersey dress with a feminine and flattering cut and double breasted button closure. There are long sleeves, notch lapels and a belt at the waist. Talvikki Sweater (Plus Size): An oversized and cuddly sweater with an unusual turtleneck that has darts on the neckline. Deep vents at the sides, dropped shoulders and an uneven hemline give this sweater a unique shape. Sointu Kimono Tee (Plus Size): A loose-fitting T-shirt with kimono sleeves and a rounded V-neck. A wide belt wraps twice around the waist. Tuuli V-Neck Jersey Dress and Bodysuit (Plus Size, 2 in 1): A knee-length jersey dress with a pleated skirt, and a simple bodysuit. Both variations have long sleeves and a deep V-neck. Tyyni Cigarette Trousers: High-waisted and midi-length straight-leg pants with a slim and flattering fit, with side seams that are curved at the hip and waist. There are vents at the leg openings. Aava Tailored Blazer: A fitted and feminine, lined blazer with an interesting and unique princess-like cut, with intersecting seams at the bust. The jacket has a double-breasted style with a vent in the back. We hope you love the new Named collection as much as we do, and look forward to seeing your creations!